Laurelwood receives $5000 Grant from Lowe's! 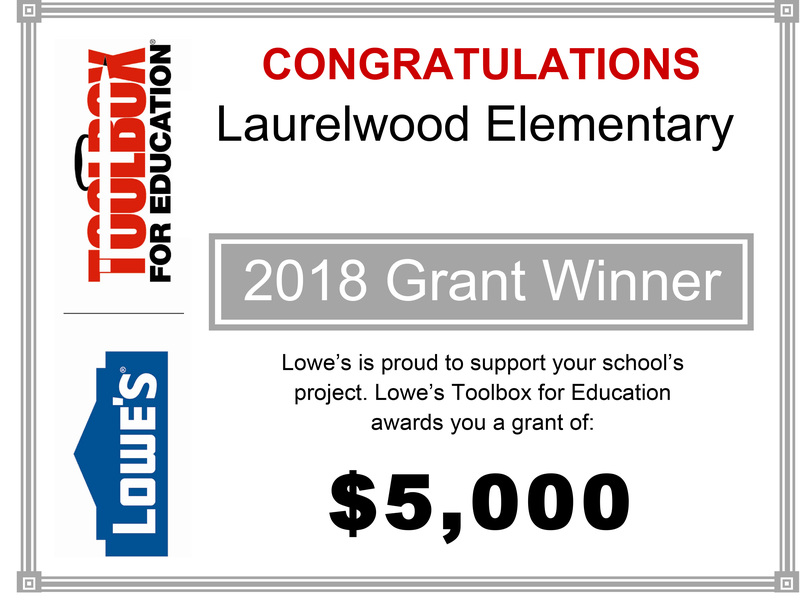 Our school is proud to receive a Lowe's Toolbox for Education grant for $5000 for the Beautification of Laurelwood project from the Lowe's Charitable and Educational Foundation (LCEF). We are beyond thrilled to have Lowe's assistance!